Be prepared to find happiness here folks. Pure happiness! 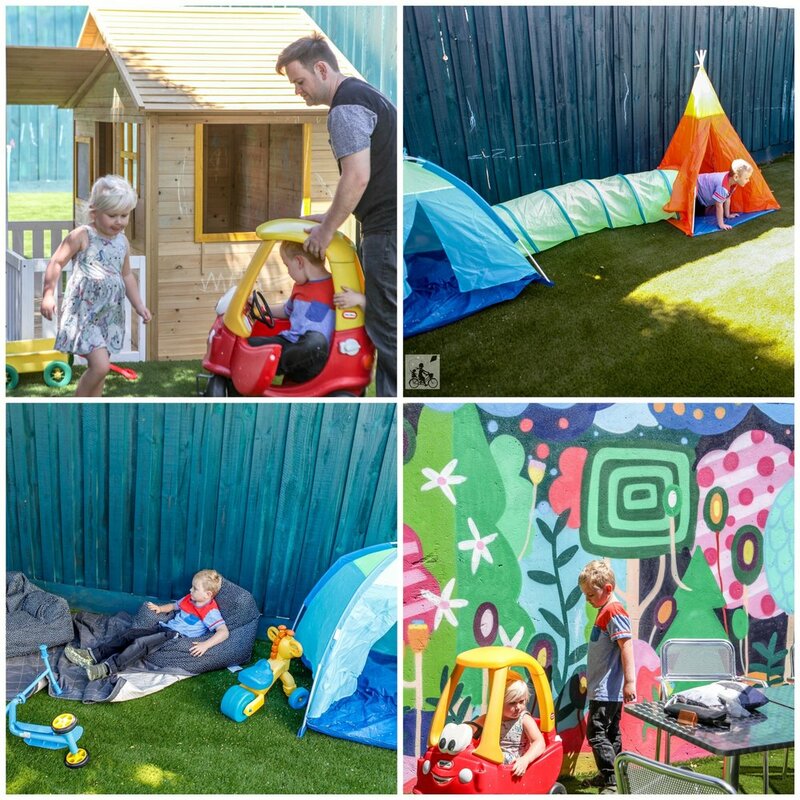 This awesome little place is bright and fun and just heaven for the little ones! There’s a gated little play area for the toddlers inside, with tables right next to it so you can keep an eye on them, but enjoy your coffee without them crawling all over you. Then there is the ultimate outdoor area. Comprising of a cubby house, bean bag chairs (adult size) some tables and chairs, a chalk board, ride-on cars, bikes, scooters and so many toys! All sitting on top of fake grass - so no need to worry about dirt or mud or scraped knees. Mamma’s crew absolutely adored decorating their own cupcake and sundae. What a deliciously great idea. If that’s not enough fun, they also run messy play and disco classes during the week. Inside is tad small for prams, but there’s plenty or room outside - so tell your Mother’s Groups! There is a great, simple kids menu and the food is limited to over the counter food, BUT that being said, there is still a great variety of delicious food! Kids want to keep playing? Grab a coffee to go and take them to the awesome Halley Park!